The chances of winning the Publishers Clearing House sweepstakes is 1 in 100 million. 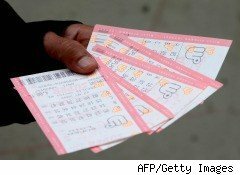 The odds of winning the Mega Millions jackpot, 1 in 175 million; of scoring a Powerball jackpot, 1 in 195 million. Still, millions of Americans are undeterred, entering these and other lotteries, raffles and sweepstakes every day. Winning comes with consequences, however. Winners who quit their job and run off to the nearest Porsche dealership could be in for a rude awakening. WalletPop spoke with Natalie Bostelman, Ric Wallace, Karen McHale, and Anthony Broccoli, four winners who said it's of utmost importance to take a deep breath, speak with an expert and do some financial planning once the winnings arrive. For more on these and other winners, tune into the third season premiere of TLC's The Lottery Changed My Life on August 15 at 10 p.m. In 2007, Natalie Bostelman and her husband were working hard to keep their heads above water. She juggled several jobs, including working as an officeassistanttoan independent insurance broker, serving as an acting coach for children, bartending and working at a home decor store.He was a project manager at an engineering firm. Yet, over the years, the two had racked up a significant amount of debt. "We would have qualified for those commercials you hear about drowning under credit card debt!" recalls the Grand Rapids, Ohio resident. That all changed in 2008, when Natalie won the "$1 Million Dollar SuperPrize" from Publishers Clearing House. Although she took home only $250,000 after taxes, it was enough to get the couple back on their feet. They were able to pay off their debts, move out of their trailer and into a home he designed. They even socked some savings away. "We wanted to change our mindset and not fall into those financial traps again of buying things we couldn't pay off immediately, over and over again," the 30-year-old explains. "I don't think we 'worry' about savings and whatnot, but we now know that it is very important to be responsible with our finances. I think I see it as an opportunity to improve my financial health and appreciate not having to worry as I did in the past." 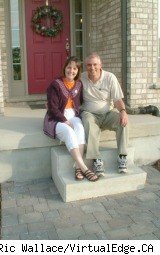 It helped that she had clear-cut goals: to pay off their debt and build their dream home. They also assembled a team that consisted of a financial advisor and accountant to help them get there. "Get a financial advisor you trust," says Bostelman. "Go to your local Better Business Bureau if no one can recommend one to you. Also, don't spend the money like you already have it. Figure out what your responsibilities are, including what you owe in taxes." Bostelman is still working for the insurance broker and this year she became a goodwill ambassador for the sweepstakes company. Ontario, Canada resident Ric Wallace and his wife had no plans to move even if their East London neighborhood was going to pot. They had put a lot of sweat equity into their small three-bedroom home. Yet, in 2004, when he won a dream home package worth more than $775,000 tax-free in swanky North Lambeth, it was "like a crane just lifted us up out of one life and into a whole different lifestyle," recalls the photographer. The couple relocated and poured more than $11,000 into repairing their old home in order to put it on the market. But soon the new place was proving to be more than they could afford. "When we lived in the old house in East London, we were paying under $3.83 a day in property taxes," he says. "When we left the dream home, the property taxes were around $20 a day. The last August in the dream home, we were trying to keep our lawn watered and the fish pond topped up, so we spent over $550 for water and electricity for that month alone. Ouch." They lived in the 3,282-square foot dream home (pictured below) until January 2008, when they sold it for $550,000, tax-free according to Canadian law. Winning the dream home wasn't a total bust. Wallace wrote21 Lucky Lottery Tips for Selecting, Playing and Winning Lotteries and is hard at work on another book about his experience in the house. He also designed and is marketing a lucky coin, the Lucky Squirrel Scratcher, an homage to the black squirrel pin that held his winning ticket. But perhaps even more importantly, winning the dream home clarified who they could trust. "One person never came to the new house after many invites and even stopped talking to us," says Wallace, now 49. "Jealousy is a side effect of winning big in the lottery." Other side effects include loss of privacy if you're not careful. Wallace recommends having a lawyer collect your winnings if the lottery allows it and make it payable to a trust. Another is to be careful about investments, making sure to seek expert advice because "the bigger the lottery win, the bigger the potential loss from making bad investments or decisions," he says. So write up a financial plan that includes paying off your debts and locking up the balance in a 90-day term deposit. His biggest tip of all, however: to "learn to say 'no' sometimes." 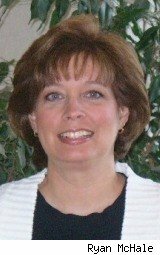 Karen McHale was just trying to help when she bought $100 worth of raffle tickets in December 2008. A family was having trouble selling their $1.2 million home in Edgewater, Maryland so they had decided to raffle the home off for charity and McHale wanted to help. A month later, McHale was told she had won the home. "I was stunned," says McHale, a 48-year-old engineer in the waste/wastewater industry. "I live in Colorado and I now had a house in Maryland. I'd never even been to Maryland. The other thing was I didn't tell my husband that I had even bought the tickets so he was in shock, too." Once the requests for media appearances died down, she and her husband decided to sell the 6,000 square-foot, five-bedroom home they had won. With the housing market in the cellar, they finally sold it nine months later to the Unity by the Bay church for $650,000. "I won the house because I bought the ticket for a charity, and I sold it to another charity," says McHale. "It was a win-win for all involved." Other winners: the IRS and the state of Maryland. After paying the taxes on the sale, McHale walked away with $200,000 in November 2009. It was just in the nick of time. She had been laid off as regional manager selling equipment to water/wastewater facilities. Thanks to her winnings, McHale, a volunteer firefighter, has a new lease on life. She and her husband took $50,000 and bought a new truck and paid off some debts. The rest they saved. She also started two charities, one called The Fire Station Buddies, to teach children 12 and under what to do during emergencies. The other charity's aim is to give away houses. Enter for $100 and write how winning a house will change your life, and Contest For Change awards the winner with a house that has been donated with the mortgage and taxes already paid. "I am helping people who have lost everything due to the economy get back on their feet and get a second chance," she says. "People who are trying to sell their homes can put their houses in the contest and their mortgage will be paid off, even if they are upside down." Anthony Broccoli has been lucky all his life. 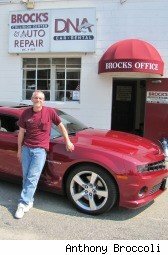 The owner of Brock's Collision Center & Auto Repair shop in Warwick, Rhode Island, plays the lottery a lot and he wins a lot. Last year alone, he had 1099s worth about $13,000 in winnings. Still, he doesn't let his lucky streak go to his head. Even after winning a $1 million jackpot from the Rhode Island lottery in 2008, the 49 year old continues to work, as does his wife. His only splurge: a Camaro, after a year of thinking about it. "Nothing changed," says Broccoli. "We went on like we didn't win the money. My kids' colleges are paid for but by the time you pay the taxes, it's not a lot." Broccoli believes that if you can't pay for it, you shouldn't buy it. He also relies on advice from his accountant. As a winner, his returns get scrutinized by the IRSso he has to make sure he has all the proper paperwork, including invoices and receipts. 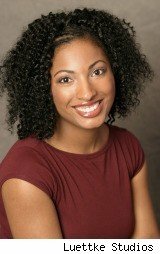 "From watching TLC's show, The Lottery Changed My Life, I learned how easy [winning the lottery] can ruin people's lives. I refused to let that ruin me and my family. For those who also dream of becoming winners, Broccoli advises to pay extra for Powerplay when buying a Powerball ticket to increase the jackpot. For Keno, always play the odd number spots. Most importantly, "if you gamble money you can't afford to lose, you should not be gambling."